Come August 11, and you will have a high time over the largest Filipino Festival of Virginia. Amidst million smiles, the 12th Annual Filipino festival in Virginia will roll into Henrico with plenty of kebobs, turons, lumpias, empandas and lots more. This Filipino American festival of Virginia is filled with loads of colorful entertainment, plenty of line dancing, vendors, live bands, a 5K race, kid zone games and much more. Enjoy all the programs over the best of Filipino food in Virginia. The organizer of the 12th Annual Filipino Festival in Virginia is a culturally rich Christian Church community called Our Lady of Lourdes. It is an excellent community with over 1500 families. It also has a Blue-Ribbon school for students from pre-KG to the 8th grade. The church, Our Lady of Lourdes, is located in the west end of Richmond, VA. 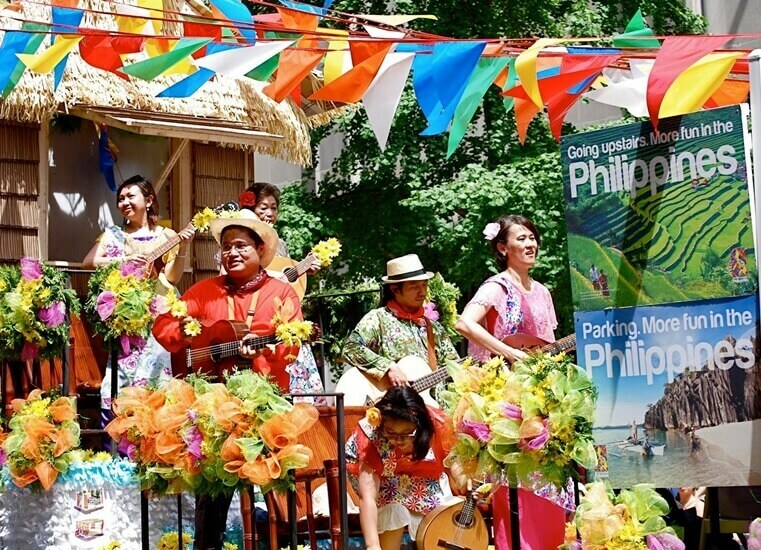 Among the Filipino events in USA, the 12th Annual Filipino Festival in Virginia celebrates the Land of the promise, Mindanao, with an interest on two indigenous groups Maranao and T’boli. It is scheduled for two days starting from the evening of Friday, August 11 and will continue until the night of Saturday, August 12. The 12th Annual Filipino Festival 2017 will start with the US National Anthem in chorus followed by the Philippine National Anthem. The Pastor of OLL Church will then shower his blessings before the actual event begins. After the opening ceremony, the 12th Annual Filipino Festival in Virginia will have a program from D’Originals Band that will constitute of OLL friends, Pinoy Ako Dance and the Richmond Pilipino Class. After this, we will have Music and Dance followed by Remnants, Rock and Soul. With this the Filipino American festival2017 will be complete for Friday and the 12th Annual Filipino Festival will enter for a full day party on Saturday. In the morning of Saturday, the festival will start with CFMD Race ‘N’ Roll 5K and Kids Run followed by Awards ceremony of the winners of the race. After a 15 minute break following the race is the opening ceremony of the 12th Annual Filipino Festival in Virginia on Saturday. After the opening ceremony, there are several programs in the Children’s parade until evening. The Children’s parade is followed by bands from Pinoy Republik and concludes with Soul Proprietor band. With this the 12th Annual Filipino Festival 2017 will conclude in Virginia, USA. Get ready to be a part of this largest Filipino American festival of the year in Henrico, Virginia. FlyHigh is a cultural wing of iEagle Travel, a leading international travel organization booking cheap flights from USA to Manila and Cebu. iEagle Travel books the best flights with the lowest airfares to Manila and Cebu.